The mechanical cash register is dead and mobile point of sale (mPOS) killed it. More businesses are switching to mPOS solutions that make use of newer payment applications, such as Google Wallet and Apple Pay, while retaining payment options from traditional providers, including Visa and MasterCard. These portable, mobile-enabled payment terminals are on the rise, giving small business owners the opportunity to take a cash register with them wherever they go. Your business can provide speedier service with mobile point-of-sale and payments technologies such as Square. Time to join the mPOS revolution! mPOS can be a smartphone, tablet or dedicated wireless device performing the functions of a cash register or electronic point-of-sale terminal. Globally, mPOS terminals will grow from 13.3 million units today to 54 million units by 2019, according to 451 Research. These solutions make their money a little differently to traditional credit card merchants, usually charging a cheaper transaction fee (between 1.75% and 3.75%) or a flat fee per terminal or per month. 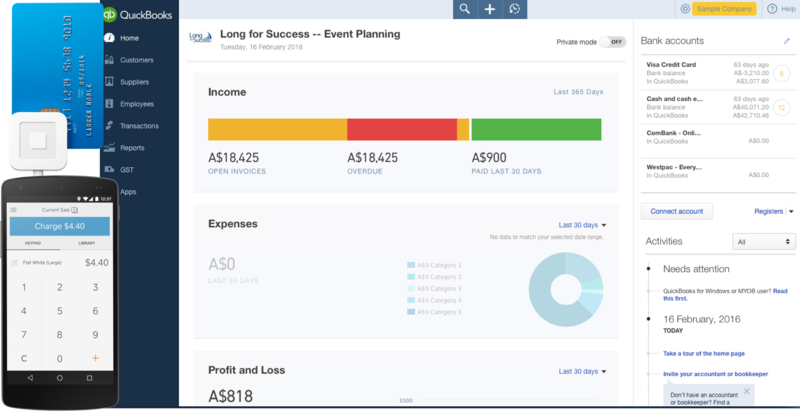 They can also be customised to the business, allowing vendors to monitor business activities such as tracking inventory, sales breakdowns in real-time and linking to accounting software like QuickBooks Online. Some solutions have near-field communications, meaning the consumer can hold their smartphone to the terminal to pay. Which Businesses Would Suit mPOS? If you have a tablet or a smartphone, all you need to do is download the app, set up an account and connect the necessary hardware, such as scanners, receipt printers, card readers and cash drawers. Joining the digital and mobile revolution can have a major impact on your business. It’s simple to do, so what’s stopping you?